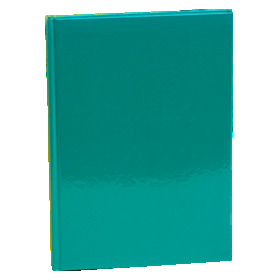 Note Book Hardcover 100Pgs A5. 14.7 x 21 x 1.2cm. Pink | Blue | Green. 60g White Paper 100gsm | 128gsm Cover | 1.5mm Card Board. 258G Packaging: Bulk Pack.